Who is next? Move in Ready. 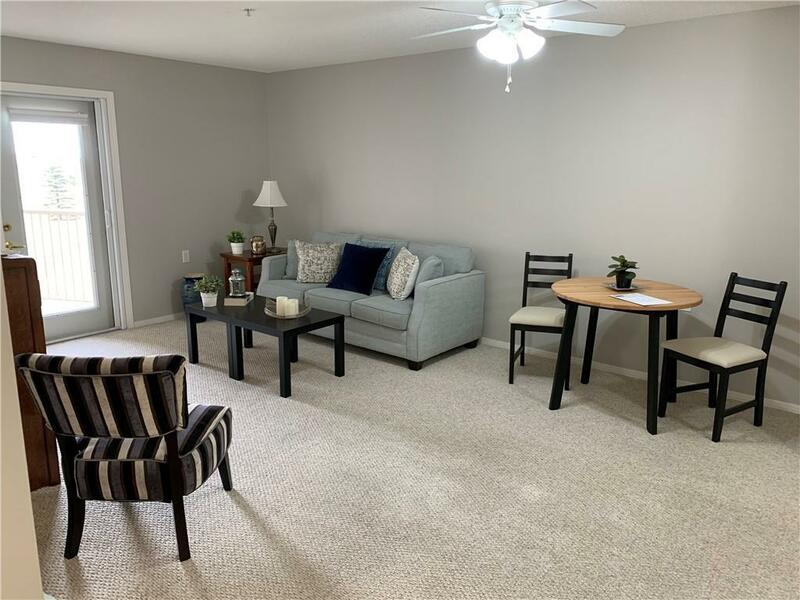 This 55+ active condo community has it all. 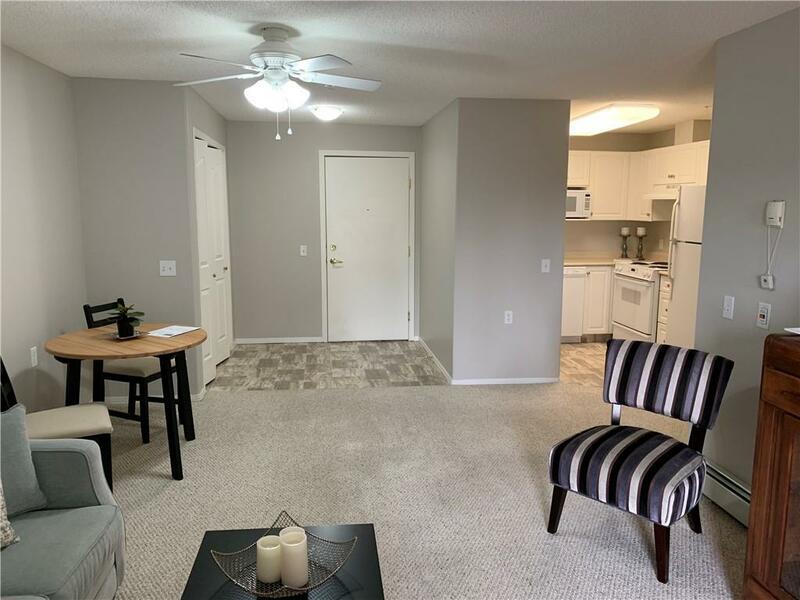 Unit is located on the 2nd floor across from the hair salon&craft room.The unit upgrades include:fresh NEW paint(entire unit),NEW lino flooring,NEW Dishwasher, light&cabinet fixtures, Washer/Dryer (2015). 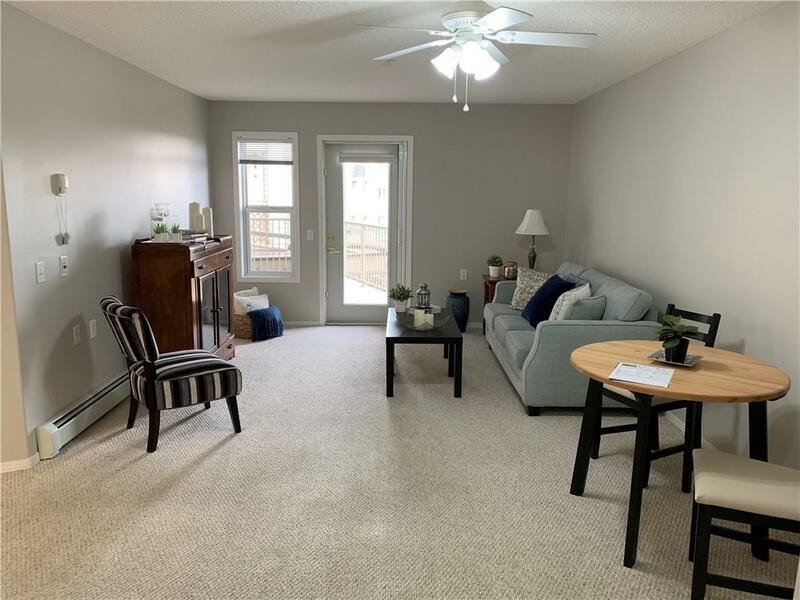 Pride of ownership is evident for this well cared unit with wonderful views.The bright east side large living room/dining room area is spacious enough for all your furniture complimented by a phantom screen for the nice warm days. The kitchen has plenty of cabinets & space to make a meal or prepare your favorite baking. The 2 good sized bedrooms have views outside the balcony. 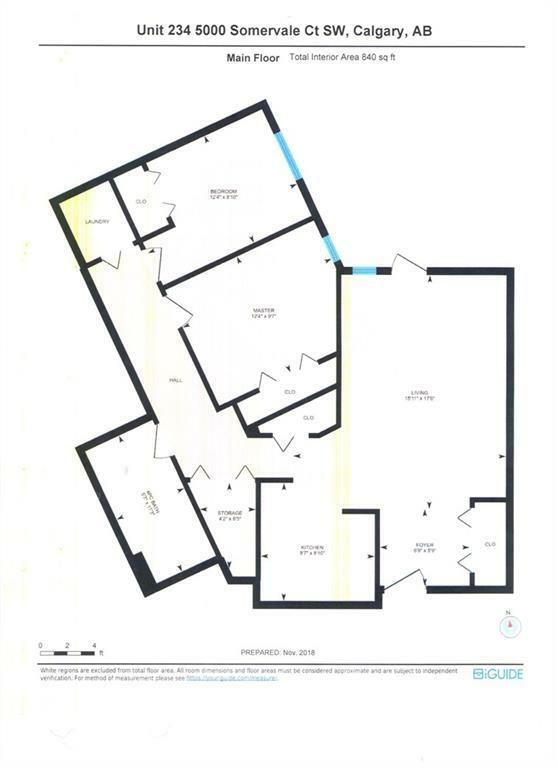 There is a large bathroom, separate laundry area along with in suite storage(+25 sq ft) & extra closets.This unit includes 1 titled underground parking (#77), amenities including: games room,fitness, library,media&more. Dont feel like cooking, have a meal in the dining center. A health monitor is also within the unit.Shopping& LRT are close by.